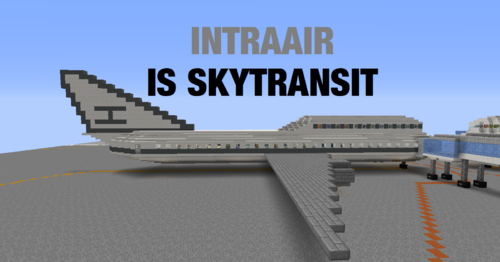 SkyTransit Alliance is an alliance of the server's airlines, founded by 6 airlines (seen in the Founding Members section of the Member Airlines section). The alliance provides the passengers of its members with frequent flier benefits across all airlines, and frequent fliers enjoy amenities such as priority boarding, first class seating, and more just by flying with SkyTransit Alliance. More to this wiki page will be added soon. Please fill and sign a book with the following information and deposit it into the dropbox in the SkyTransit Tower, 777 Forest Park Avenue, Ilirea, XW18. SkyTransit Tower is served by the IMTA Red Line, at Forest Park / Aspen Station. What is your main hub? This must be an airport that currently exists. Why should your airline be in SkyTransit? Please list at least 5 active flights that your airline has. If you don't have at least five flights, please wait to apply until you do. What types of aircraft does your airline currently use? After submitting your application, it will be reviewed by all current members of the SkyTransit Alliance and voted upon. If more than half of the members vote "yes", then your airline is a full member of the SkyTransit Alliance. If not, then we ask that you wait at least one month before applying again. These are subsidiary airlines of SkyTransit member airlines. 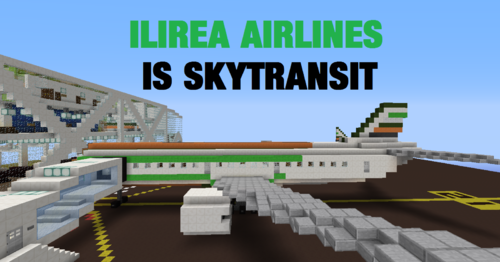 Ilirea Airlines is the principle founding member of SkyTransit Alliance, and an instantly recognizable as well as highly respected airline on the MRT. Based out of its main hub at Ilirea Midcity Airport, with additional flights out of Bloomington-Robin's Hill International Airport, the airline is the flag carrier airline of Ilirea, and is owned by the Ilirea government. Ilirea Airlines Sky Lounges can be found at major airport the airline services, including Ilirea Midcity and MRT International Airport. Frequent fliers can upgrade to IlireaExecutive and IlireaElite, with dedicated suites on select aircraft, and reap the benefits across the SkyTransit Alliance network. Ilirea Airlines can easily be recognized by its iconic representation of the flag of Ilirea, present on the tail wing of its aircraft and at all Ilirea Airlines facilities. IntraAir is one of the largest airlines on the MRT, contributing to a large bulk of the SkyTransit Alliance route network. With flights to most major airports on the MRT, IntraAir has important hubs at Kitania Municipal Airport, Western Ocean International Airport, Cyra Underwood Municipal Airport, Elecna Bay International Airport, and Achowalogen Takachsin-Covina International Airport, and several other important focus cities. IntraAir's large network is complimented by its service, both in the air and on the ground. The airline's award winning in-flight service has been subject to praise. The base class on all flights is Economy Class, with basic food service, moderate legroom, and in-flight TV monitors at every seat on most aircraft. Business Class, available on most aircraft, is a leap ahead, with each seat encased in chiseled sandstone, including the seat dividers, double the legroom of Economy, a personal reading light, and a larger, touchscreen monitor. On select aircraft, Executive Class provides passengers with a luxurious experience, enclosed in a private suite at the front of the aircraft, with a seat with the same legroom as Business Class, a widescreen TV monitor, and a dedicated flat bed for sleeping on long haul flights, not to mention a personal lavatory. At the top, on select aircraft, Emperor Class passengers experience an entire upper floor of the aircraft, with a large living room, bedroom, bathroom, and dining area. Frequent fliers are eligible for IntraPriority, providing passengers with priority check-in, priority security screening (at select airports), and priority boarding, as well as access to IntraAir SkyOne Lounges, at select airports. IntraPriority passengers are automatically placed in Business Class, and can upgrade to Executive Class on select flights at the normal cost of a Business Class ticket. IntraPriority members also reap their benefits across the SkyTransit Alliance members, and frequent fliers of other SkyTransit Alliance member airlines are automatically granted SkyTransit Elite status with IntraAir, with the same benefits as IntraPriority. 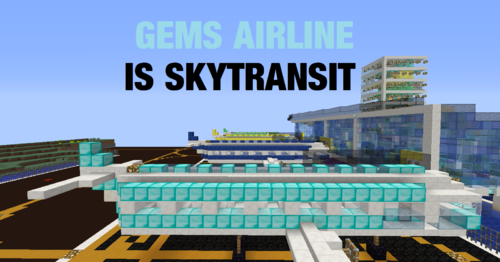 In addition to this mainline service, IntraAir also owns GEMS Airline, a luxury airline based out of Zicronia. IntraAir can be recognized by its iconic grey "I", found on the tail wing of its planes and at all IntraAir facilities. 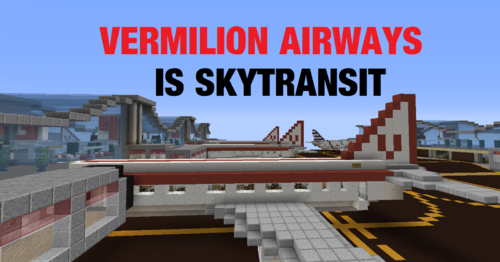 Vermilion Airways is a notable member of the SkyTransit Alliance, and one of its founding members. The airline, which operates as the flag carrier of Vermilion and is owned by Vermilion's government, operates primarily out of Vermilion Gateway Airport, with the majority of its flights based in Vermilion. The airline mainly caters to residents and visitors of Vermilion, and features a basic class system with Economy Class and Business Class. Frequent fliers can upgrade to V Plus, V Premier, and V Presidential, with benefits that carry across the SkyTransit Alliance, including priority check-in, priority security screening at select airports, priority boarding, and lounge access. Vermilion Airways can be recognized with its distinct red livery, and the red "V" on the tail wing of its aircraft and at all Vermilion Airways facilities. 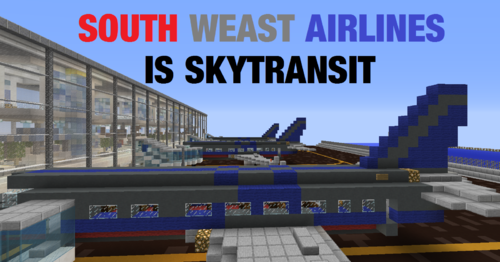 South Weast Airlines is yet another major airline on the MRT, and part of the SkyTransit Alliance. Acting as a basic low-cost carrier, the airline is based primarily out of Laclede's Harry S. Truman International Airport, with its primary old world hub at Splurgeville Municipal Airport. The airline features medium-sized aircraft with a two-class seating layout, mainly flying out of Laclede as well as focus cities such as Vermilion, as well as smaller regional jets, offering no in-flight service, mainly based out of Splurgeville. With a large flight network, the airline is an important piece in the SkyTransit Alliance route network. Frequent fliers can upgrade to Patrician (Business) Class on select flights, with benefits carried across the SkyTransit Alliance network. South Weast Airlines can be recognized through its grey, blue, and red design. 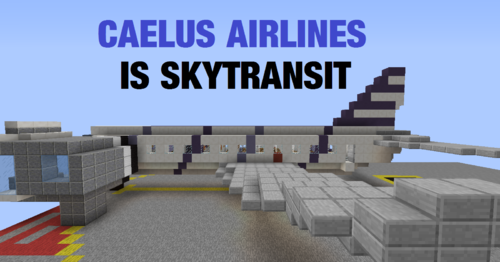 Caelus Airlines is a major airline on the MRT and in SkyTransit Alliance. The airline is unique in that its old world operations are operated by its Japanese-themed subsidiary Ikeda. Based out of Saint Roux International Airport (planned) and MRT International Airport, it has additional operations based out of Akane - Ishuzu International Airport and a multitude of focus cities including Vermilion Gateway Airport and Western Ocean International Airport, among others. In the air and on the ground, Caelus Airlines provides you with brilliant service. Starting with the Main Cabin, passengers are greeted with a comfortable experience, with in-flight TVs in every seat on most aircraft and complementary food and beverage service. On long-haul flights, Main Cabin Select provides guests more attentive service and increased comfort for a modest upgrade fee. Guests in Business Class, available on most aircraft, enjoy a reclining seat with more legroom, gourmet in-flight meal service, and special attention from the flight crew. In First Class, available on select flights, guests receive a private suite, complete with a bed, seat, and in-flight TV, with the same delicious in-flight meal service available in Business Class. First and Business Class guests, as well as frequent fliers, are eligible for Caelus Select, granting priority check-in, priority security screening at select airports, priority boarding, and lounge access. Frequent fliers reap their benefits across the SkyTransit Alliance network. Caelus can be identified through its blue striped color scheme on planes and at Caelus facilities, which is colored red at Ikeda airport facilities and on Ikeda aircraft. 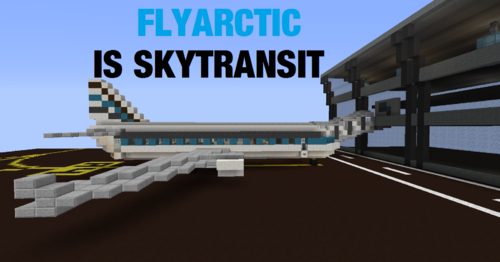 FlyArctic is a major small carrier airline on the MRT and is a member of SkyTransit Alliance. Founded by PtldKnight it was a small carrier that joined SkyTransit in 2016. After joining the former Eastern Airways it established itself from Vegeta City Airfield. Later establishing itself further from Ilirea and Waterville Municipal Airfield. After the breakup of Eastern Airways in 2018 it rejoined SkyTransit as a full member. 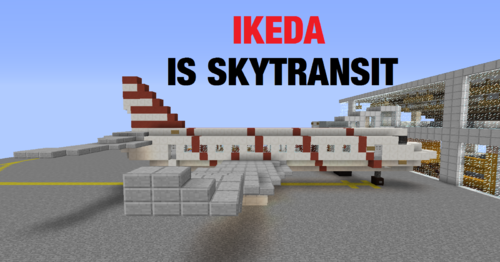 Characteristic of its Cyan and Gray livery SkyTransit serves most Airfields in the Gamma Region going to either one of its Hubs at Vegeta, Waterville or Ilirea with a primary focus on the Northwest Region. Sky Transit Alliance wishes to provide its passengers with the best experience possible which meant introducing a rewards program that works seamlessly with all SkyTransit Alliance members. Below is a list of all the rewards programs and all of the different tiers. Limo Pickup and Dropoff-This service includes a white stretch limousine picking you and dropping you off at a select location decided by you. All limousines include fresh beverages and snacks. In order to request this service, your pickup and/or drop off location must be able to reach the selected airport by road. Priority Boarding-All diamond tier frequent fliers automatically get complimentary priority boarding on all flights, once they start boarding you may use the red "Priority" lane which guarantees you to get quickly onto the plane. Access to SkyTransit Lounges-All diamond members get a keycard sent to their MRT Mail Centre mailbox which gives them access to all of the SkyTransit Alliance and its member airlines lounges. Refer to the SkyTransit Lounge section for more information. Complimentary First Class-On all SkyTransit Alliance airlines you may request a first class seat for no charge, not all flights included. Discounted Ticketing-On all SkyTransit flights you may receive up to a 30 percent discount on tickets for all classes. SkyTransit Diamond Card-All SkyTransit Diamond members will receive a card that designates them as a valued passenger. Access to SkyTransit Lounges-All emerald members get a keycard sent to their MRT Mail Centre mailbox which gives them access to all of the SkyTransit Alliance and its member airlines lounges. Refer to the SkyTransit Lounge section for more information. Priority Boarding-All emerald tier frequent fliers automatically get complimentary priority boarding on all flights, once they start boarding you may use the red "Priority" lane which guarantees you to get quickly onto the plane. SkyTransit Emerald Card-All SkyTransit Emerald members will receive a card that designates them as a valued passenger. Access to SkyTransit Lounges-All gold members get a keycard sent to their MRT Mail Centre mailbox which gives them access to all of the SkyTransit Alliance and its member airlines lounges. Refer to the SkyTransit Lounge section for more information. Priority Boarding-All gold tier frequent fliers automatically get complimentary priority boarding on all flights, once they start boarding you may use the red "Priority" lane which guarantees you to get quickly onto the plane. SkyTransit Gold Card-All SkyTransit Gold members will receive a card that designates them as a valued passenger.